Much of Anthony's information is dramatically different from the conventional wisdom of medical communities, so don't expect to hear the same old food facts rehashed here. Instead, expect to get a whole new understanding of why oranges offer more than just vitamin C-and a powerful set of tools for healing from illness and keeping yourself and your loved ones safe and well. 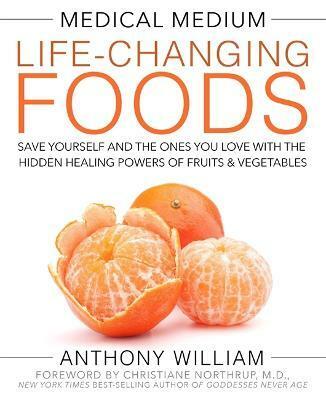 -- Alejandro Junger, M.D., New York Times best-selling author of Clean, Clean Eats, and Clean Gut, and founder of the acclaimed Clean Program "While there is most definitely an element of otherworldly mystery to the work he does, much of what Anthony William shines a spotlight on--particularly around autoimmune disease--feels inherently right and true. What's better is that the protocols he recommends are natural, accessible, and easy to do."